Looks like Buttonstc hasn’t added any topics to their profile yet. Can someone please explain how it helps only one team to play with a slightly deflated football. Aren't BOTH teams playing with the same ball? For those who enjoy mobile gaming, did you know that there is one of special interest to Fluther users ? And it's available for free today ? What makes some avocados SO MUCH more fibrous and how do I avoid buying them? March 2nd, 2010 Great Answer (17 ) Answer to Separation from wife threatening suicide? December 18th, 2009 Great Answer (17 ) Answer to Can we please opt out being notified of awards? Login to send a message to Buttonstc. Not sure if you are into watching the news. 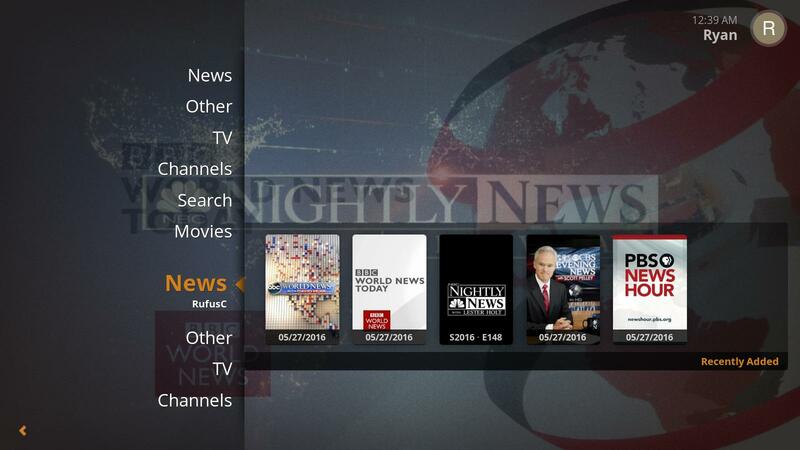 For some odd reason the last few weeks have seen a uptick in torrents being released for nightly news programs. No promise that will be consistent or timely. But it is there if it is your thing. I have programmed things to automatically grab shows as they are released. Retention will be low. I will have them deleted them after a few days. Regarding your answer: Thank you sir. I understand, and I know that “Lord of the Flies” is just a fiction novel, and I am grateful. But you don’t understand. I watched clips from the film on the Internet like I said, and they weren’t the same clips. They were just re-enactments of the scenes from the novel. It was from a documentary about “Lord of the Flies” or about William Golding, as evidenced by the narrator (who was an adult male with an English accent) and the fact that at the end there was the man who was commenting on the “children killing children”. He must have been talking about how controversial it must have been at the time it was published. I know, according to two of the documentaries I watched (most of them were short, including these two) that the original film was shot in a documentary style, much to the liking of the critics, but it wasn’t what I saw. Oh, sorry about the mistake I made. After reading your answer I tried to thank you. But I accidentally ended up writing my answer myself! Can you believe that? How stupid of me! Fortunately, I am now sending my thank-you to you like I should have, instead of accidentally answering my own question. I feel like an idiot. May you forgive me, please? It won’t happen again, I promise you that. Oh, sorry. I didn’t mean to be rude. I had forgotten that you were the other answerer! How stupid of me. This happens a lot. Do you know that, when my I.Q was tested, it was shown that my short-term memory is worse than an infant? To put this in perspective…cats and monkeys have an equal short-term memory, according to Wikipedia although I didn’t read the link…and they, I presume, have a better memory than infants. In other words, monkeys and cats have better memories than me. My four past pets cats all had better memories than me. When I mentioned this to my elder sister and mother, they understandably laughed at me. Also, I was too lazy to read your earlier comment again. I had the feeling I would regret it, but I brushed it aside. But that feeling was right. Again, sorry about that. Regarding your answer: Thank you, but as I said before to the previous answerer (I am sorry if I sound rude, I didn’t mean to), it was not The Powerpuff Girls, which was a show I watched and liked as a child.